Mass spectral raw and processed results often fail to deconvolve and consider crucial data. This contributes to inaccurate, incomplete and inefficient protein and metabolite identifications. 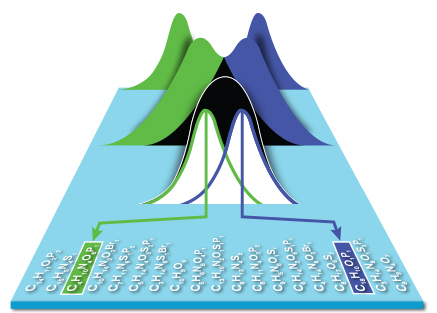 Veritomyx spectral analysis software applies advanced signal processing and identification algorithms to reveal hidden data and accelerate to correct biomolecular identifications. This improves R&D effectiveness while saving time and money. PeakInvestigator™ deconvolution and centroiding software detects and precisely deconvolves hidden overlapped peaks, accelerating you to confident peptide and metabolite identifications in your workflows. PeakInvestigator increases effective resolution by 3-4x from your existing mass analyzer. important discoveries that would have remained hidden in your data provides critical leverage for scientific and business success.